Home > About Debt > Why is Debt Such a Problem in the UK? Debt has always been an issue in the UK but in recent years it has become something of an epidemic. Debt is at an all-time high and there are various reasons for this. The one that most industry experts are blaming though is not linked to the financial climate or the interest rates but instead on the culture in the UK by which people are frivolous with money and see debt as a way of life. The UK culture for spending is, according to some experts, out of control. The “I want it now” culture has led people to run up thousands of pounds of debt in credit cards and loans and often this credit is used not for necessities but for luxuries and enjoyment. Fancy cars, holidays and designer clothes are all deemed adequate reasons for taking out credit and debt is fast becoming a way of live for many people in the UK. Interest rates are predicted to be on the decline but for many, following the rises last year, the damage has been done. Mortgage, credit card and loan repayments have risen and for those who were just about getting by the increases have meant spiralling debts and, in some cases, repossession. The US credit crunch has had drastic effects on the UK with lenders tightening their criteria. People wanting to remortgage will find the deals they had previously been offered are no longer available as lending becomes more stringent, or, some would say, more responsible. House price increases in the UK are beginning to slow however for the past few years they have risen dramatically putting the achievement of owning a property out of most peoples reach. But for those that have stretched themselves to obtain a mortgage to buy a property, debt is becoming a reality. Before you take out a mortgage be sure you know you can manage the monthly payments, and be aware of certain eventualities that may put pressure on your ability to pay. For example if you can only just about manage your payments what happens if an unexpected dentist bill or a necessary housing repair turns up? Make sure you have some extra money each month just in case, do not stretch yourself too much. Debt in the UK is a serious problem and the Government is taking steps to rectify the problem but there is a long way to go. Although interest rates are on the increase and industry experts are predicting the effects of the credit crunch will settle in the next year or so until the current UK culture of spending without care changes the debt problem in this country is sure to continue. 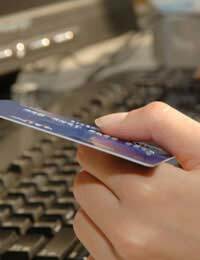 If you want to avoid getting into debt be sensible with what you are spending, be careful with your credit cards and avoid store cards as much as possible. Budget accordingly and prioritise your spending and you should be able to manage your finances efficiently.